She will be doing work with the accounting teams as well as the development teams applying knowledge and expertise she has acquired over more than 13 years of professional experience. Ms. García’s prior involvements include owning and operating an accounting and consulting business where she assists entrepreneurs by offering services in both English and Spanish. She worked with Green Circle Projects, a real estate development company, helping during a software transition and in developing accounting processes and procedure. 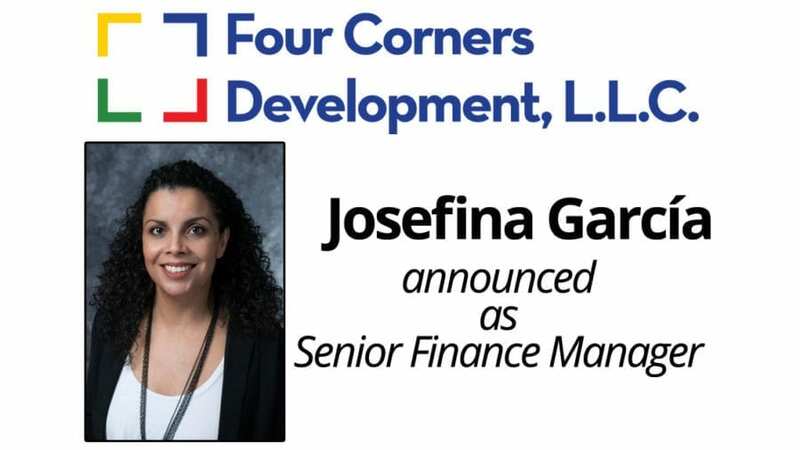 Before this, Ms. García served as: Controller for Foster Hospitality Group, LLC, an assisted living facility development company; Senior Accountant/Analyst for the Missouri State University Foundation; and Assistant CFO for Evergreen Investments, LLC. Ms. García is a licensed Certified Public Accountant (CPA) in the state of Missouri and is also a Certified Management Accountant (CMA), a management accounting credential which is internationally recognized. She earned a Master of Science degree in Accounting as well as a Graduate Certificate in Forensic Accounting from Missouri State University. She also holds a dual major Bachelor of Science Degree in Accounting and Business from Drury University which she earned with Departmental Distinction in both areas. Ms. García is heavily involved with professional organizations and has served on numerous boards and committees. She is the president-elect of the Association of Government Accountants (AGA) local chapter; forms part of the planning committee for the Heartland IMA Educational Conference; and served as treasurer for Springfield Toastmasters, to name a few. Ms. García is a member of the Association of Government Accountants (AGA), American Institute of CPAs (AICPA), Institute of Management Accountants (IMA), Missouri Society of CPAs (MSCPA), and Toastmasters International. She is also passionate about public speaking and has presented on accounting topics as well as diversity and inclusion. During her free time, Ms. García enjoys spending time with her children, Javier a new college student majoring in accounting and international business and Victoria, an avid artist, performer and photographer in her sophomore year of high school.